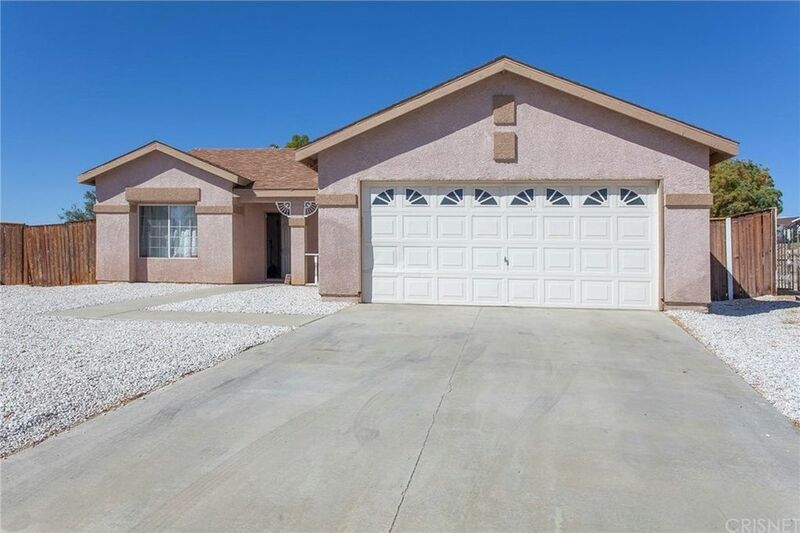 Great Ranch Style Home Priced to sell Located at the end of a cul-de-sac with great curb appeal. When you walk into this light and bright spacious open floor plan you will love the formal living room with double doors to front bedroom/office area. Fireplace in the family room. Large open kitchen. Updated bathrooms. Upgraded flooring! Newer water heater. Huge back and side yard!With RV Potential. Newer Washer, Dryer and Refrigerator included! Directions: 14 Fwy to Rosamond Blvd. (east) to 15th St. W. (left) to Hook Ave. (right) to Scherer Dr. (left) to Hatcher (left).